A wedding planner costs, on average, over $3,500 for the complete experience. Only 16% of brides today actually hire one, primarily because of cost. One of the biggest reasons brides hire planners is for vendor recommendations. I interviewed over 30 brides + wedding planners before beginning the design process. You can read the interviews that inspired the product here. 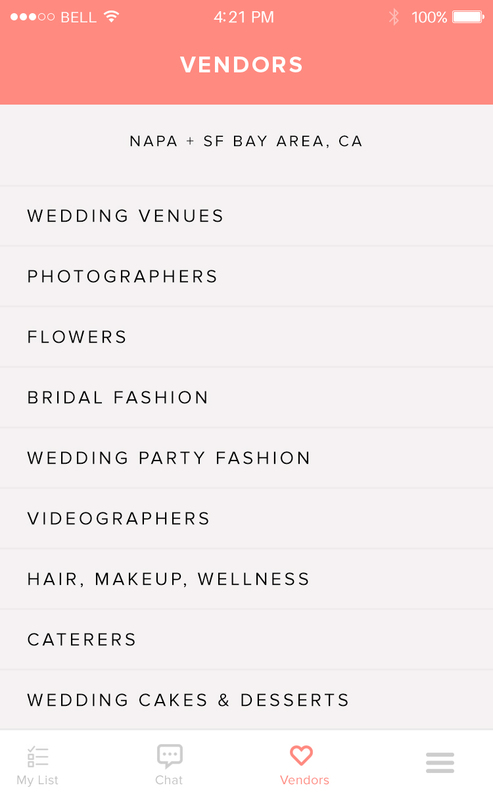 With this in mind, I created a chat-based concierge service that serves couples a list of wedding vendors that match the couples style, budget, and who are available on their wedding date. Also included is the ability to create an in-app to-do list to manage tasks.